Most of all, you’re probably going to be turned down when you try to compete in tournaments; many businesses have tough rules on gi’s, especially the littler organizations. A person might end up being able to make use of an old Gi. This is acceptable in the event that this is OK with the instructor, however in the event that a person is really serious regarding BJJ, buy any true BJJ uniform as quickly as you can. BJJ gi’s generally are available in white, blue, or black. Some crazier colors are getting well-liked like red-colored, green, camouflage, yellow-colored, or even pink. Many tournaments just permit blue or white, so that is really a secure pick. Also, some schools believe it disrespectful to put on a colored uniform that isn’t blue or white. Another consideration with color is contrast stitching. Many new gi companies are issuing solid color gis (in the traditional blue white, or black) with the stitching in a contrasting color. This is very common and most look very nice. They are becoming increasingly popular and, thus, less expensive. Initially a gi with contrast stitching was very rare and would cost nearly three hundred dollars, but now they can be bought for the low price of around one hundred dollars. To begin with, check with your school on what colors tend to be appropriate. Then look into the competitions in your town that you’re planning to take part in. If both of those categories let you choose your uniform color freely, pick whatever you like. Be cautioned however, putting on a fancy gi might get you a few responses, and it may get you a few looks here and there, but be careful or risk somebody really calling you out on it. In fact, unless it is extremely common in your area for people to wear non-traditional colors, don’t buy a non-blue or white gi until you are no longer a white belt. Looking for BJJ Belts? You’ve come to the right place! So, what’s with all of these different weaves? Single? Double? Ultra lite? Pro Lite? Lightweight? Platinum? Iron? Pearl? Summer? Feather? Gold? WHAT GIVES??? Okay, okay. Don’t have a meltdown. I know it can be a lot at first. Let me see if I can straighten things out a bit. I’ve ordered them by weight. Lightest are listed first and the heaviest are listed last. These are the lightest of all of the gis and kimonos. They are very easy for you and your opponent to manipulate (very high mobility) and definitely won’t last forever. They are, however, GREAT for IBJJF tournaments (as you have to weigh in with the gi on). They also offer the best breathability so if your gym is a sauna like mine is during the summer (and even the winter when classes get over 20 people), then this may be a solid choice for you. Looking for pearl weave gis? Head over to Hypnotik and find your favorite! Let’s just use this gi as our standard. It will generally last a decent amount of time, has a moderate amount of breatheability to it. It has a good balance between durability and mobility. The best single weave gi brands are available at Amazon! These gis are in between the single and the double. They’re fairly popular because they are more durable than the single and a little harder for your opponent to grip, but not nearly as thick as the double. Suits of armor. These gis will last forever. They are at the opposite of the lightweight gis in that they aren’t as mobile (some double-weave pants are denim) and they are very hard to manipulate. They also weigh a lot more than a lightweight and are best suited for training, unless you can weigh in for a competition without the gi. Okay, so how do I keep from ruining these things? After all, they are around a hundred bucks. First, don’t be gross. Wash your gi after each time you roll. Nobody is more disgusting than the guy who just takes off his sweaty gi and leaves it hanging in the locker room to dry for weeks at a time. Yuck. This is also helpful because nobody wants to train with a guy who smells! Don’t get labeled as the MRSA or “Ringworm guy.” Every academy has one and nobody likes him (Note: It’s always a dude. Girls are much smarter and better at staying clean than we are). If you don’t want your gi to shrink, wash it on cold and hang dry it. Hang drying also helps the gi last longer. It’s okay to dry your gi, just know that it wears out faster this way. The more processes you put it through, the shorter its durability. If you bought a colored gi like all the other cool kids (just not yellow… never yellow), make sure you wash it the first time in vinegar. They make sure to lock in the color as best they can at the factory before they ship the gi out, but it never hurts to do a little extra. NEVER bleach your gi. Oxyclean and other detergents will get blood and other stains off the gi, but bleach will destroy the fabric and your gi will get torn to shreds in training. This is a cool option because it will fit you. If my gi is already pre-shrunk, what size should I get? Always defer to the chart listed on the manufacturers or the distributor’s website. This is really important because every company is different. Just like trying on gym shoes, one company’s size may be totally different than another. Just because you’re an A4 in one manufacturer, doesn’t mean you couldn’t be an A3 or A5 in another. If you’re in doubt, just give them a call or an e-mail. I have never heard of a company that wasn’t happy to make a recommendation based on your measurements or description. Key point: When in doubt, order a size up and shrink it a bit. Better to be baggy than too small. Okay, so I know my size, what’s the best gi out there? This answer is different for everybody. Some people prefer their rare 400 dollar gi while others would rather wear the cheapest gi they can find. Gi’s aren’t like other things, you don’t always get what you pay for. 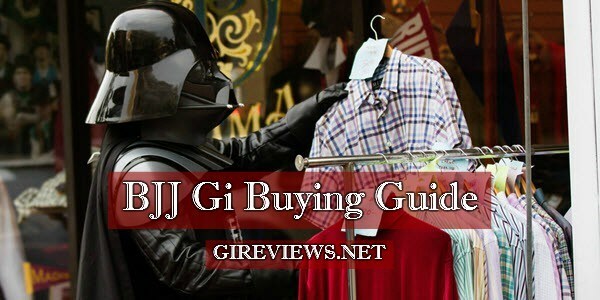 A 70 dollar gi may be the same, if not better, than an expensive gi. Heck, some of the time, two gis are made in the same factory, branded differently, and sold for different prices. It’s in your interest to find out if this is the case for the gi you like. Pick your color, what weave you want, what size, and then go for it. If you want a super cheap gi, grab there are plenty out there. If you’d prefer a flashy gi, there are those as well. Best of luck to you in your new gi purchase! If you have any questions, please let me know! Wonderful goods from you, man. I’ve take note your stuff previous to and you are just too great. I actually like what you’ve bought right here, really like what you’re stating and the way in which in which you say it. You make it entertaining and you continue to care for to stay it wise. I can’t wait to read far more from you. That is really a wonderful website. Love bjjtapes.com I love that you guys are one of the oldest sponsors in BJJ and it’s really cool rewatching arte suave and seeing you on there. Super cool and thanks for the post! A black belt under Carlos Machado told me that you shouldn’t buy a Blue gi until you are a blue belt and shouldn’t buy a black gi until you are either a black belt or an instructor. I’ve never seen that applied anywhere really but it may be best to just start with a white gi. I would agree. I notice that almost everybody starts with a white gi, and some even choose blue. Black is alright, I guess, but I didn’t pick one up until I was a blue belt. But with all of the flashy gis out there now, it really doesn’t matter to a lot of people. It’s like saying certain basketball shoes are only for people who have a certain skill in basketball, right?